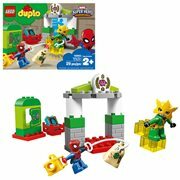 Does Your Spider-Sense Detect Spider-Man Merchandise? Ditko, Peter Parker's second-self first appeared in 1962's Amazing Fantasy #15. He has since become one of the most popular, enduring, and commercially successful superheroes worldwide, and arguably Marvel's most famous character. 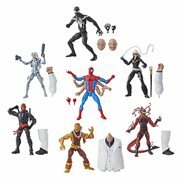 Shop Spider-Man toys, figures and merch! Do you detect the presence of Spider-Man action figures? You're right, because this is the place to find them! Created by comic book icons Stan Lee and Steve Ditko, Peter Parker's second-self first appeared in 1962's Amazing Fantasy #15. He has since become one of the most popular, enduring, and commercially successful superheroes worldwide, and arguably Marvel's most famous character. Shop Spider-Man toys, figures and merch! 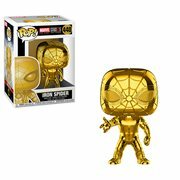 In addition to Spider-Man merchandise, Spidey has been seen in several comic book series, both animated and live-action TV series, newspaper comic strips, children's books, coloring books, and an uber-popular series of films that includes the likes of Captain America: Civil War. 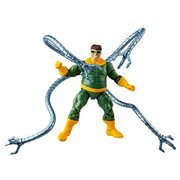 And now for your endless enjoyment, there's a growing assortment of exciting Spider-Man: Homecoming toys! With superhuman strength, the ability to cling to walls, a 6th sense ("spider-sense") that alerts him to danger, perfect balance and equilibrium, and superhuman speed and agility, this Marvel flagship character is also intellectually gifted, excelling in applied science, chemistry, and physics. How could he not be the source of the wealth of Spider-Man toys and other must-haves we offer at Entertainment Earth? Unlike other teenagers in the comic books of the early 1960s, Peter Parker was no sidekick to the protagonist. After all, "with great power, there must also come great responsibility." Peter donned that weighty mantle and became the multi-genre superhero we love, as well as the subject of scads of Spiderman collectibles. Peter Parker Comes in a Variety of Flavors. Spidey-flavored products come in a spectrum of shapes and sizes that appeal a broad range of collectors and fans. Some of those forms have been around for decades and are familiar to young and old alike, while others are relative newcomers and not so well known. Among the latter are Spiderman Pop! Vinyl figures. These totally adorable miniature figures have captured the attention of the market with a fervor seldom seen in the wonderful world of collectible paraphernalia. Their small size, collectability, and playability combine to create a truly unique experience. Find out for yourself - add one to your trove of treasures today! 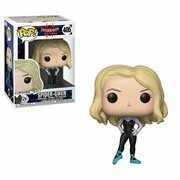 But these Spider-Man Funko Pop! figures are not the only delightful way to enjoy your favorite web-slinging man of the hour, and you don't need his super-fast reactions or wrist-mounted web-shooters to grab them for your own. Of the many formats in which you find your friendly neighborhood wall-climber, the bobbing bobblehead just might be the most fun of all. For the fan or collector with discriminating taste, who's interested in more serious and substantial items featuring exceptional quality, long-term durability, and enhanced value, there's another avenue to pursue. Such discerning individuals should take a close look at the Spider Man statue as a means of achieving that end. There are plenty of top-notch items to choose from, featuring iconic poses, action-packed scenes, astonishing detail, meticulous hand painting, and eye-popping appeal. You'll wow your fellow aficionados with the spectacular sculptures you discover here at Entertainment Earth. 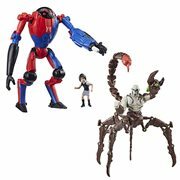 So, whether it's Spiderman: Homecoming action figures or any of the kaleidoscope of other marvelous Peter Parker products that catch your fancy, Entertainment Earth should be your first stop on the road to finding them.